When you are starting to plan your own wedding, one harsh reality will face you. Weddings are expensive, in spite of how you try to limit your budget! 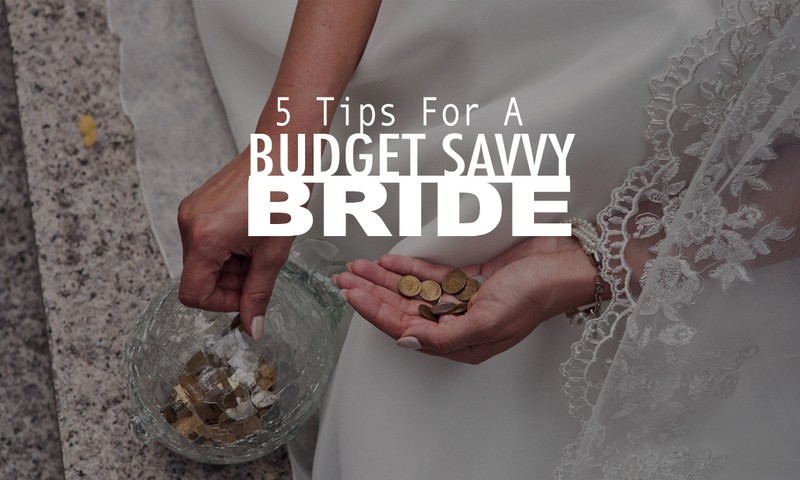 So, you will have a number of burning questions on your mind on how to be a budget savvy bride. Luckily, here are some amazing budget tips that will come through big and provide answers to your questions. Avoid scheduling a venue on Saturday night during summer because it’s the time when booking charges are highest. Instead, try to book your wedding at an hour that is less popular in order to significantly cut costs. The saying “the early bird gets the worm” has some truth in it. Not only will the parents of younger kids be happy, but your photographer will get to utilize the natural light throughout the wedding as well. More guests may make your wedding merrier, however, not when they are straining your budget. Inviting your dearest and nearest will not only save you many but also create a more intimate experience. Besides, you can splurge on the appetizers and mains when you have fewer plates to serve. High-end wedding dresses can cost over fifteen thousand dollars, but brides can research their wedding gowns resourcefully. Not only do prices depend on when you buy, but they also vary at local bridal boutiques. Many bridal boutiques host shows, where it is possible to get a discount of up to twenty percent! Create memorable and fun centerpieces by visiting your local thrift store or salvaging your house for knick knacks. While the imaginations of advanced crafters can run wild, amateurs can create something close to home, such as impressive framed collages. If you are planning a wedding soon, the cost of fresh flowers will shock you. Furthermore, consider the stress of transporting these perishable blooms, as well as the potential allergies they are likely to cause. You’ll see that you are much better off swapping these pretties with a festive alternative or keeping them to a minimum. This is indeed one of the best bride tips to keeping your wedding budget at a low. Wedding on a budget doesn’t mean that you have to forgo the luxury or romance you have been dreaming of. You only need to follow these tips, plan ahead, make a few smart choices, and still enjoy a dream wedding without going back home with huge tons of debt and huge credit card bills.